This summer, we have another tea shop obsession—Happy Lemon! 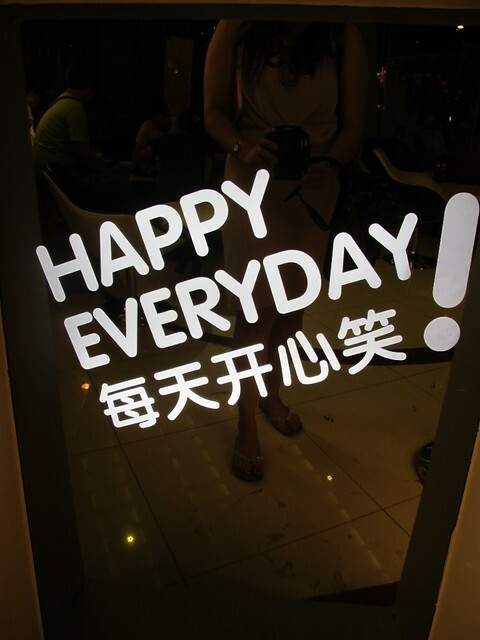 And where else will it open in Manila but in the heart of the tea-drinking Chinese Filipino population—Greenhills (in Promenade, to be exact). 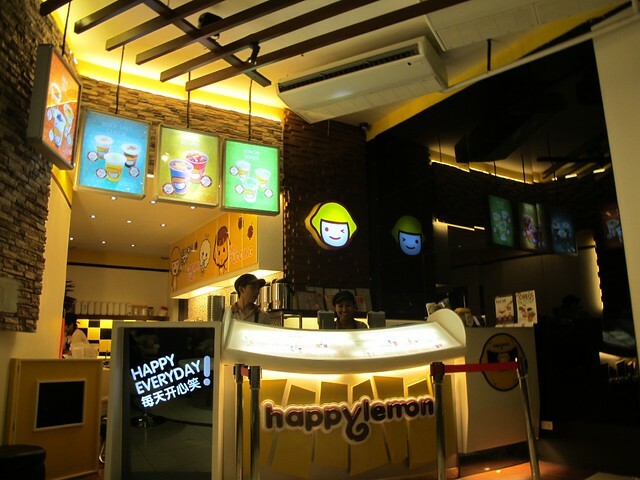 Happy Lemon started in 2006 in Hong Kong and now has over 100 outlets all over Hong Kong, China, Singapore, and now, the Philippines. It was brought into the country by a Chinese-Filipino group who’s been friends since their grade school days in Xavier School (hmm, why am I not surprised?). The group is composed of Kelvin Gaisano, Kristine Gaisano, Andy See, Wesley Pardilla, and Edward Go and Chris Tiu, the famous basketball player and TV host. 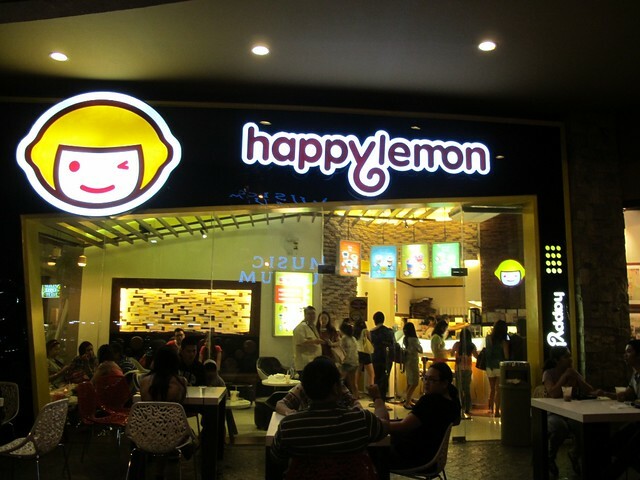 Read more about how they brought Happy Lemon to Manila here. 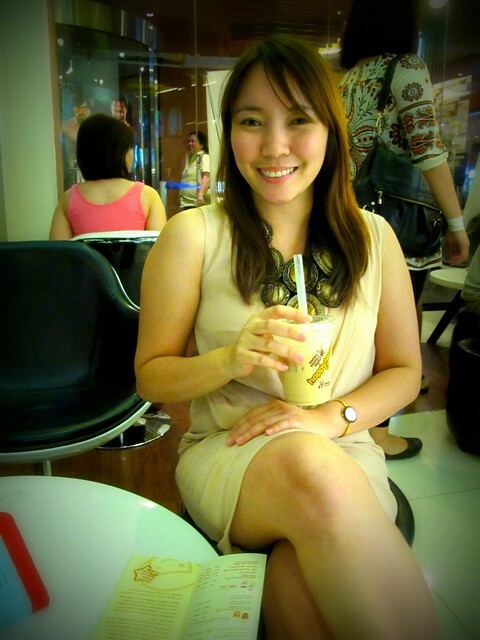 The Happy Lemon branch in Manila is actually not your usual tea shop. For one, it’s located in Promenade in Greenhills, which is a more commercial area and with higher foot traffic, and also the center of shopping and dining in San Juan. 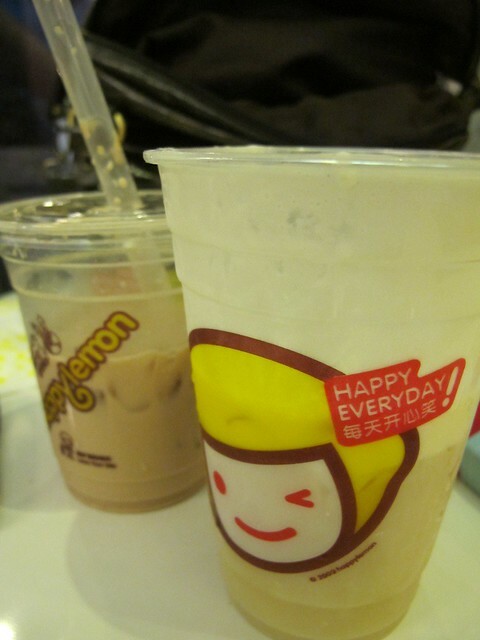 Compared to the other tea shops which I have already blogged about, I think Happy Lemon is the most conveniently located. 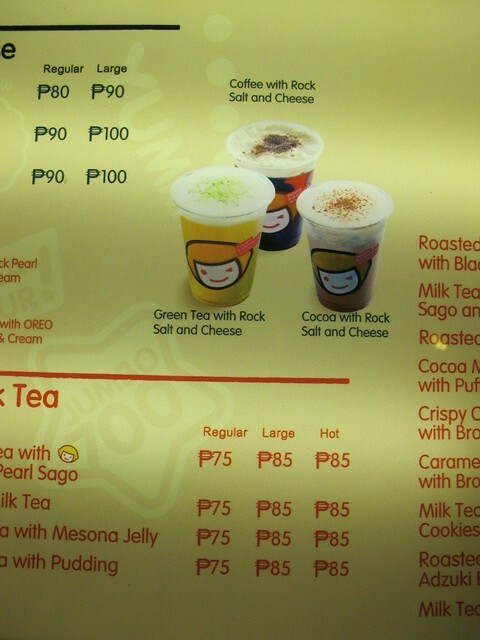 Also, what sets Happy Lemon apart are their drinks with rock salt and cheese. Yes, you read that right. And yes, I’m sure you haven’t had this combination in any drink before, making Happy Lemon quite unique. I must say, if you don’t like it the first time you try it, you’ll soon grow a taste for it. And I know because A. and I have been going back for more. 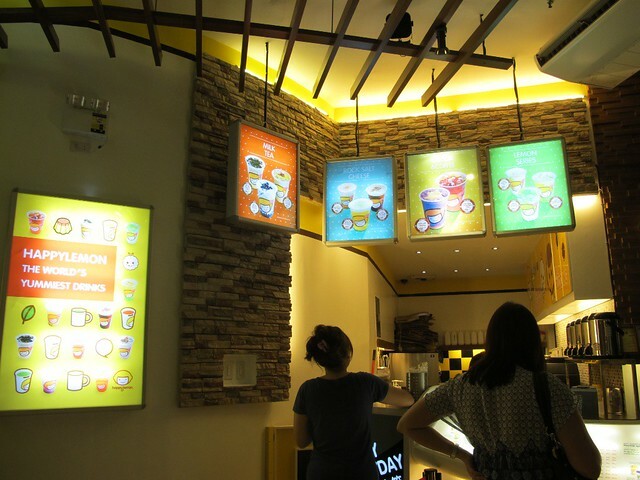 Aside from the Rock Salt Cheese series, they also have a wide range of drinks such as the Lemon Series, Milk Tea, Mousse Spin (they have a Lemon Yakult drink), Blueberry, Cocoa & Coffee, Fresh Tea, and other specialty drinks. 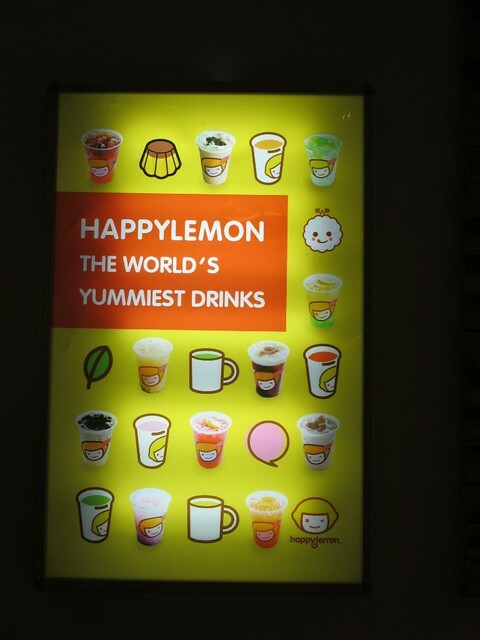 Since the first time we went to Happy Lemon in mid-April, we’ve gone back countless of times and tried out so many kinds of drinks already! Lucky for us, Greenhills is just near our houses 🙂 The price of each large drink averages from P85-P95. Better get the large size since the serving is not that big as other tea shops.